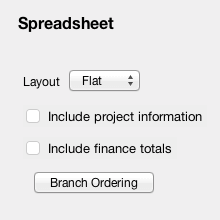 The export to spreadsheet option is designed to make the most of numerical values on your branches. Select File > Export > Spreadsheet. 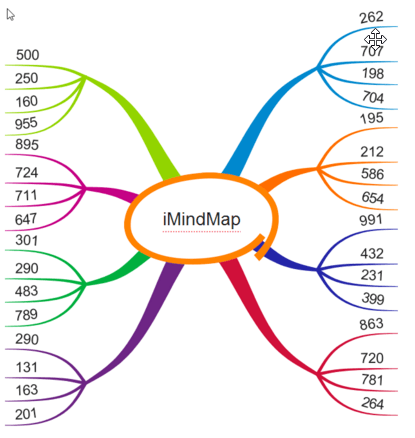 Your spreadsheet's order is automatically arranged according to how you created your map. If you would like to make any changes, select 'Branch Ordering'. You can change the order of the branches by selecting your branch or child branch, before dragging and dropping it to your desired location. The 'Automatic' button will return the order back to its previous form. When you are happy, select 'Export' and define a name and location for the file on your computer. When you open the spreadsheet in Microsoft Excel you will see that the numerical values on your map have been totalled. Make sure that your numbers are on separate branches and do not include any symbols (eg. £, $,€). Select File then click on Export . 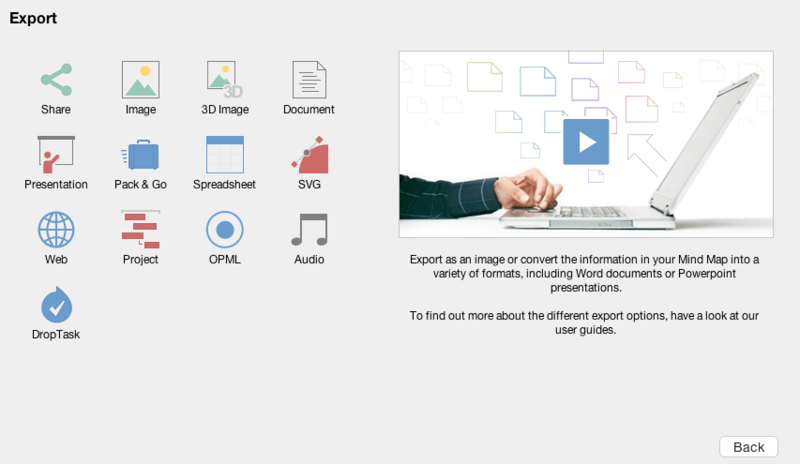 On the export menu click Spreadsheet.